Amnesty International (AI) recently published a report covering the current state of affairs regarding the use of the death penalty in the world in 2012. 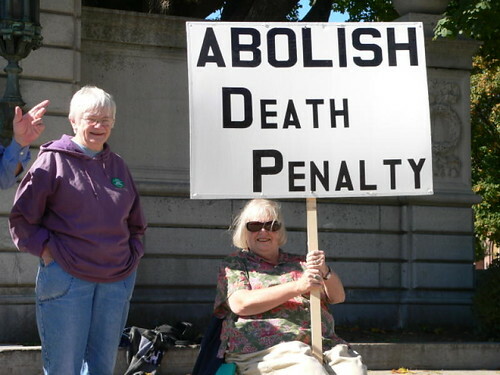 It clearly shows that over time, tremendous progress has been made with respect to abolishing capital punishment. On the one hand, fewer states apply the death penalty nowadays; on the other hand, we are witnessing the consolidation of a global culture which is increasingly aiming towards abolition of the death penalty. In 2012, at least 1,722 people were sentenced to death in 58 countries. While this number remains horrifying, it actually represents a decrease when compared to the number of death sentences in previous years. In 2011, 1,923 people were sentenced to death in 63 countries around the globe, while in 2010, the death sentence was given to 2,024 people in 67 states. In January 2012, Latvia formally abolished capital punishment. The Baltic state was the last country in the European Union to retain the death penalty in its penal code, even though it only applied to war crimes and had barely been used during the past decades. The only country in Europe which still imposes capital punishment is Belarus, as explained in this UnExp article. By contrast, Japan and the United States are the only countries in the G8 that continue to apply the death penalty. Notwithstanding this positive trend, the report by AI points out that much remains to be done before capital punishment is completely abolished everywhere. It is true that the number of actual executions in countries imposing death sentences has gone down, but there seems to be a growing concentration of executions in certain geographical regions and countries. The best example of this regionalization is the fact that three quarters of all executions worldwide are recorded in only 3 countries: Iraq, Iran and Saudi Arabia. 1. China. Not only does China carry out the highest number of executions, it is also the least transparent country on the list. China may claim that there has been a substantial decrease in the number of executions, but AI believes that it still runs into the thousands. As the Chinese government labels data on executions a state secret, AI refuses to include the Asian giant’s statistics, deeming them not sufficiently reliable. 2. Iran. 314 confirmed executions rank Mahmoud Ahmadinejad’s regime second on the list. In Iran, not only assassins or enemies of the state are executed: heretics and homosexuals run the same risk. 3. Iraq. At least 129 people were executed in 2012. Iraq is the only country in the region (together with the Gaza strip) where the number of executions has nearly doubled compared to 2011. This is largely due to the political situation in the country. In fact, the most common charges are terrorism and collaboration with the Saddam Hussein regime. 4. Saudi Arabia. 79 people were put to death in 2012. The most widely used methods are public beheading and crucifixion, which are also used for minor cases, such as robbing a jewellery store. But apart from capital punishment, the age-old tradition of an eye for an eye still serves as a guiding principle for the judiciary in Saudi Arabia. A case in point is the report of a man who was supposedly sentenced to be surgically paralysed as punishment for having paralysed someone else. 5. The United States. This country in the Americas is known as a land of extreme contradictions and the fact that death sentences continue to be imposed undoubtedly represents one of its major paradoxes. Gradually, fewer states are applying capital punishment in the USA: 43 executions were carried out in 2012 (the same figure as in 2011) and three quarters of these occurred in just four states (Arizona, Mississippi, Oklahoma and Texas). Meanwhile, the number of abolitionist states increased to 18 (32 states retain capital punishment, though not all apply the sentences).